Entry-level mobiles at fantastic prices. Choose from our range of Moto phone deals on pay monthly, SIM free or finance. Need help choosing the best Moto mobile phone for you? Since Lenovo acquired Moto from Motorola in 2014, the mobile phones have been getting better and better. 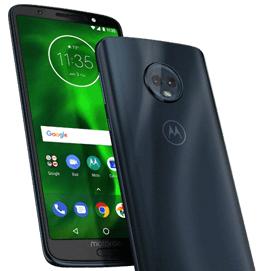 Best of the bunch, Moto G6 offers a water-resistant build for greater durability, class-leading dual 12MP and 5MP rear cameras for sharp photos, and a large 5.7-inch Full HD+ display for enjoying videos and apps. At its current price, Moto G6 is nothing short of a steal! Browse our deals to find the Moto for you.